We people of Nepal severely suffer from Acnes which is commonly known as pimples. We have been facing not only from acne problems but also from the acne scars which is left after the acne has either been gone or has been popped out.Due to these acne scar and pimples we are facing low confidence in our daily social life. We usually do not like to show our face full of pimples to others. Now say no to acne pimple and other skin cut injuries scars. 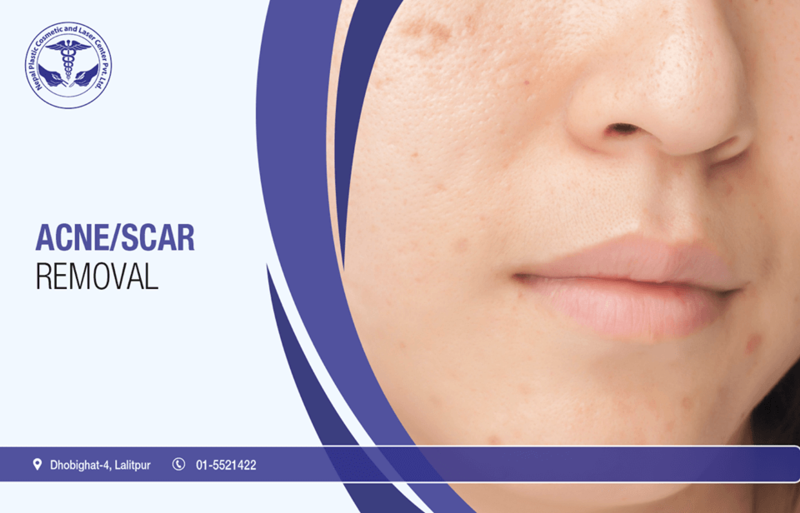 we at NPCLC provides best acne scar treatment in Nepal using both Laser and surgical way. Similarly Nepalese also suffer greatly from melasma or also known as chloasma faciei. This is widely found skin discolouration generally found in women. Especially found in pregnant women so it is also called mask of pregnancy. In Nepal Freckles are also a huge problems as the UV B ray hit our skin which activates melanocytes which in turn increases the melanin which makes a dark and more noticeable skin discolouration. What is Elight laser acne removal ? 1 What is Elight laser acne removal ? 2 How many sessions do I need for laser acne removal? 3 What is the process of Elight laser acne removal ? 4 What is the effectiveness of Elight Acne removal? 5 What are the side effects of Elight Laser acne removal? Acne elight therapy is the pain-free, low-cost way to get rid of blemishes on acne-prone skin. It does not zap zits like a laser, but it kills acne bacteria and shrinks oil-producing glands to give skin a chance to recover on its own. How many sessions do I need for laser acne removal? Generally it depends on skin type and colour but it takes about 3-7 sessions. 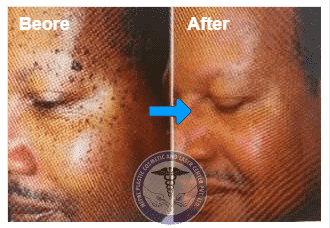 What is the process of Elight laser acne removal ? Acne is a disruption in the skin caused by different factors, including bacteria, hormones and genetics. eLight Acne Therapy is an effective light-based therapy. The eLight Acne Therapy destroys the most common bacteria that cause acne. The goals of treatment for active eruptive acne are: to reduce he bacteria count of the acne-causing Proprionibacterium Acnes, and to control the activity of the sebaceous glands to reduce excess sebum production. What is the effectiveness of Elight Acne removal? Combining IPL and Radio Frequency, E-Light produces 3 times more effective than traditional IPL. eLight/ IPL, “Intense Pulse Light” is one of the safest acne treatments available and proven to be extremely effective on moderate inflammatory acne. What are the side effects of Elight Laser acne removal? Though there are no long lasting side effects of Elight Laser for acne removal, you might experience slight hot sensation during the procedure. 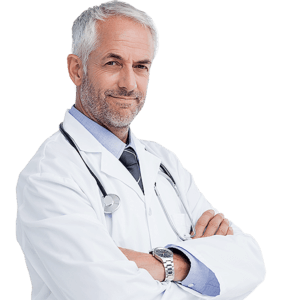 You might also have slight redness over the treated area for the brief period of time after the procedure. We here at NPCLC have a solution for melsama, acne, freckle. We have imported latest and best laser machines for solving your melasma and acne problems. Our laser machines are latest model found in Nepal. 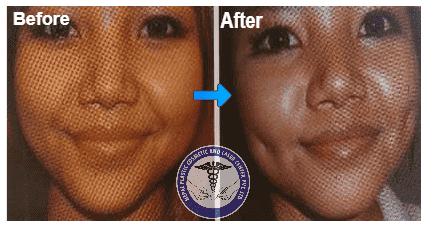 We also have best plastic and cosmetic surgeons in Nepal to provide you the laser therapy needed. We offer laser therapy for acne and laser therapy for melasma procedures in the most competitive price in Nepal.